Minneapolis, MN /PRNewswire/ -- TE Connectivity (TE), a world leader in connectivity, today announced that its FlexWave digital distributed antenna system (DAS) Host Unit has achieved Network Equipment-Building System (NEBS) Level 3 compliance, meeting all telecommunications carrier standards for network equipment in central offices. NEBS Level 3 is a set of carrier-class standards developed by Telcordia Technologies to standardize central office equipment around a strict set of requirements based on GR-63-CORE and GR-1089-CORE for attributes such as fire suppression, thermal margin testing, vibration resistance, airflow patterns, acoustic limits, failover, RF emissions and tolerance requirements. By attaining NEBS Level 3 compliance, TE's FlexWave DAS host unit can be transparently integrated into service provider central offices. NEBS Level 3 compliant FlexWave host units are ideal for cloud RAN architecture and utilizes existing wireline infrastructure to provide wireless access (real estate, power, HVAC, etc.). 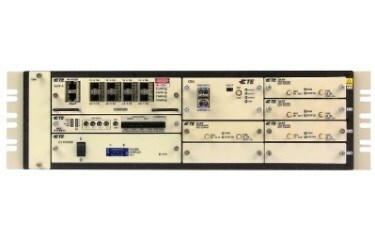 Deploying FlexWave host units within the service provider's central office allows the wireless operator to lower the cost of small cell architecture by enabling access to existing dark fiber and muxponder solutions such as CWDM for efficient, digitized RF transport. As a variant of the standard FlexWave host unit, the NEBS Level 3-certified unit will be familiar to installers and requires no retraining. "We aim to lead the world in cloud RAN architecture, and this certification goes a long way toward making our FlexWave host standard equipment in central offices," said Peter Wraight, vice president and general manager of TE Wireless. "NEBS Level 3 compliance allows our customers to take advantage of existing real estate in central offices to streamline the management of their networks by making the most of their physical assets. With an all-digital DAS design that delivers the performance and flexibility to provide wireless services everywhere from inside of business, arenas and stadiums, to urban cores and suburbs, offering a strong business case for next-generation wireless networks." TE Connectivity, TE connectivity (logo), TE (logo), EVERY CONNECTION COUNTS and FlexWave are trademarks. All other logos, products and/ or company names referred to herein might be trademarks of their respective owners. © 2015 TE Connectivity Ltd. family of companies. All Rights Reserved.